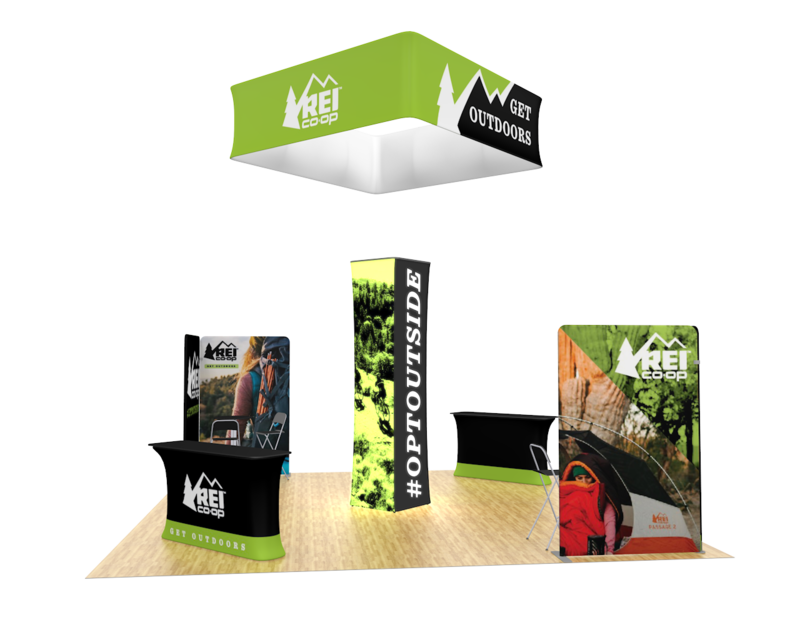 The Waveline Media 2020.10 trade show display features two canopy arches, hanging sign, info counter, and a semi-private meeting space with table and chairs. 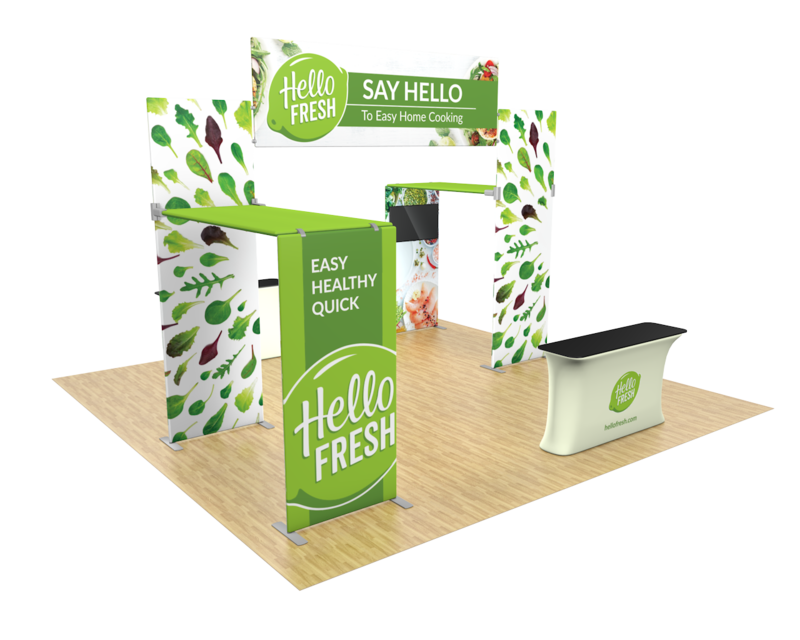 Elements of smaller booths come together to create a large, yet light weight island display. 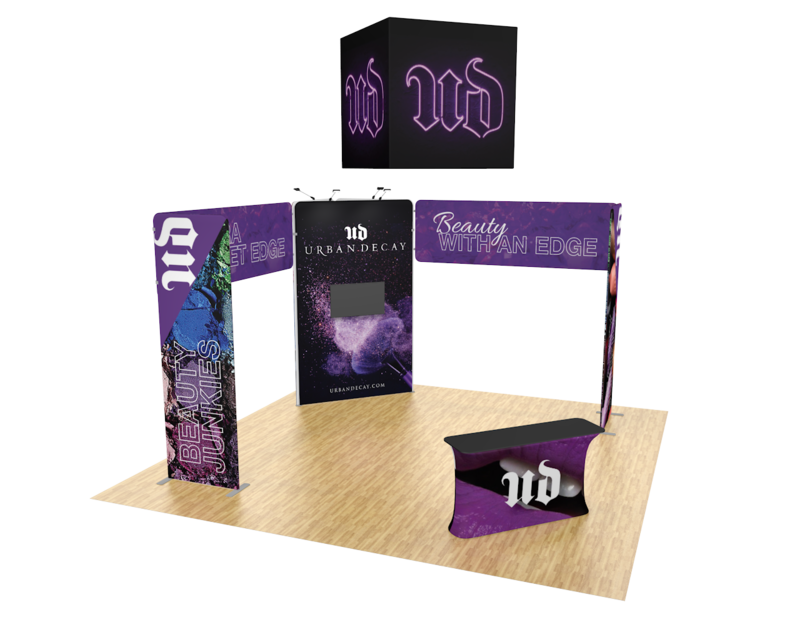 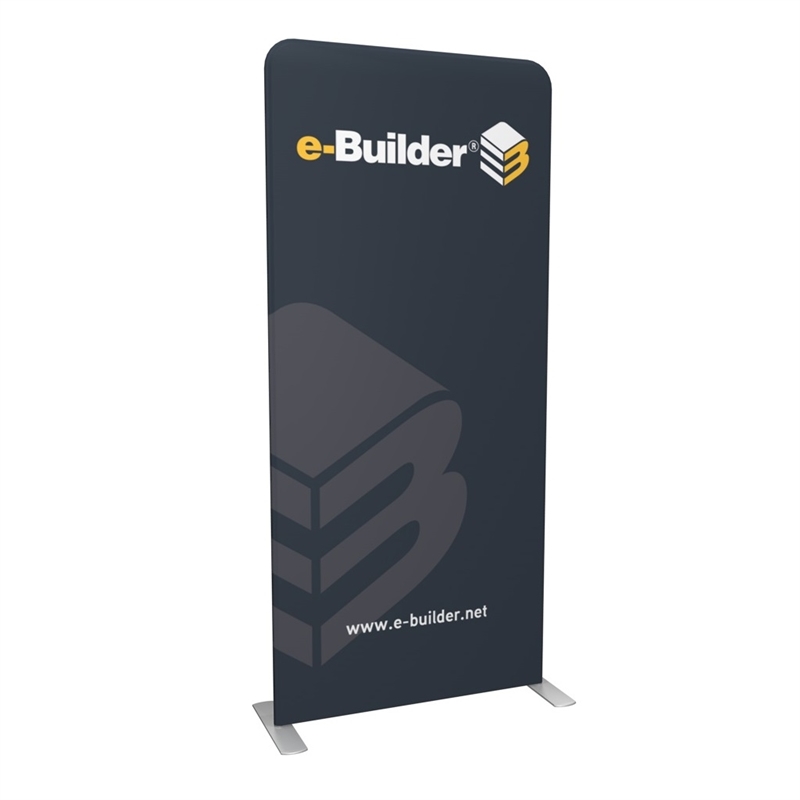 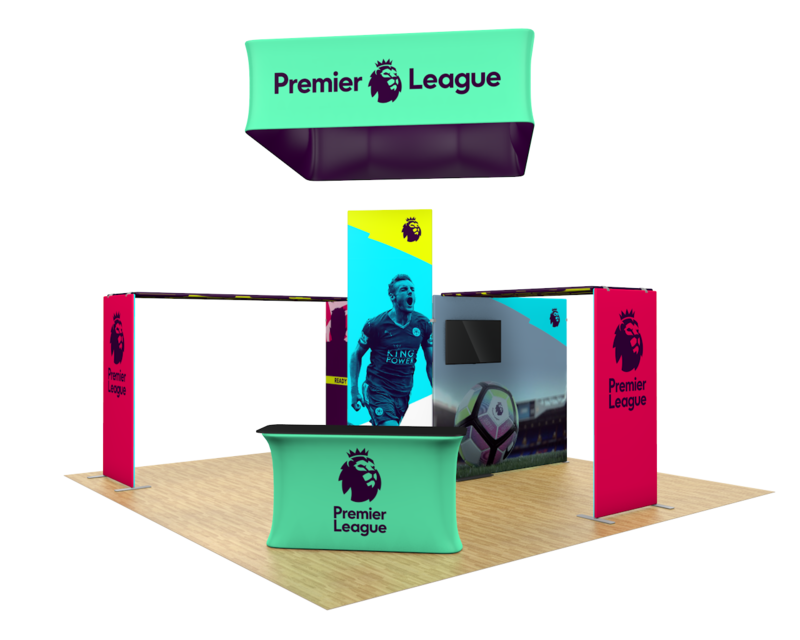 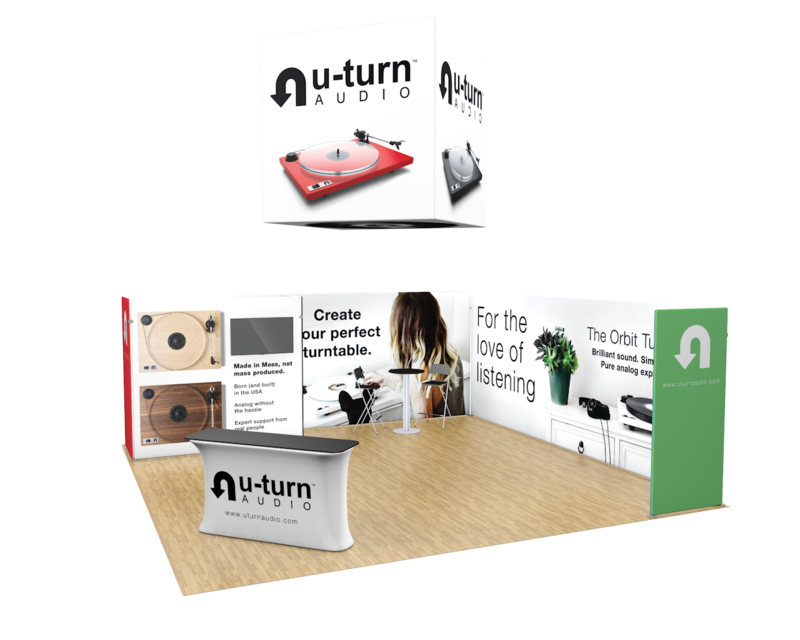 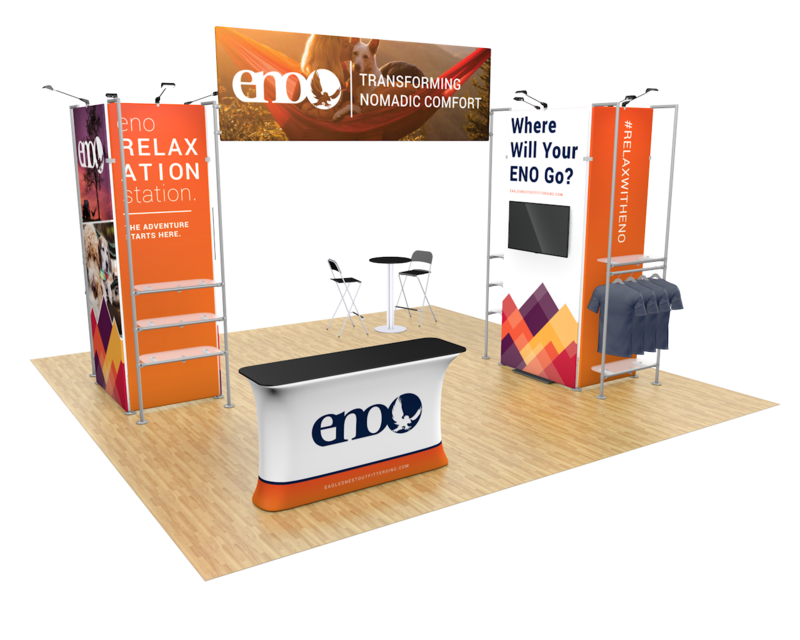 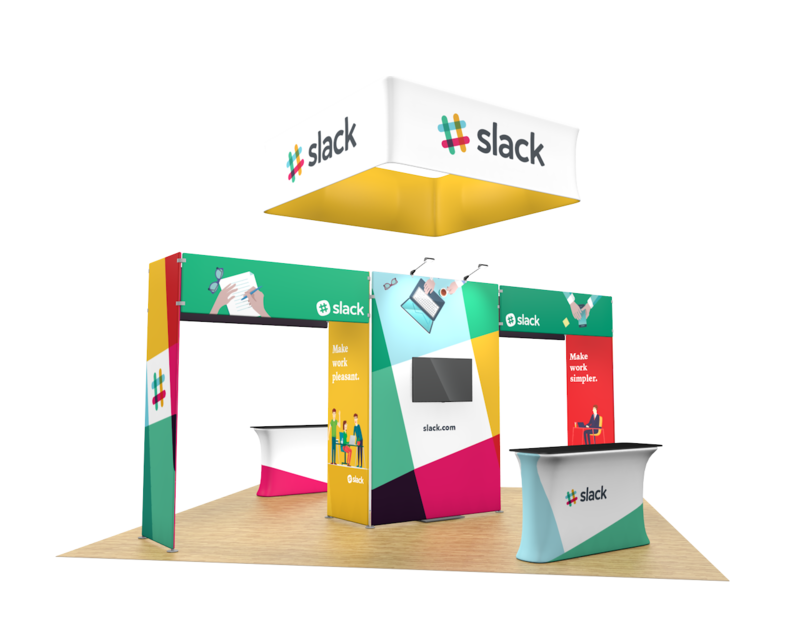 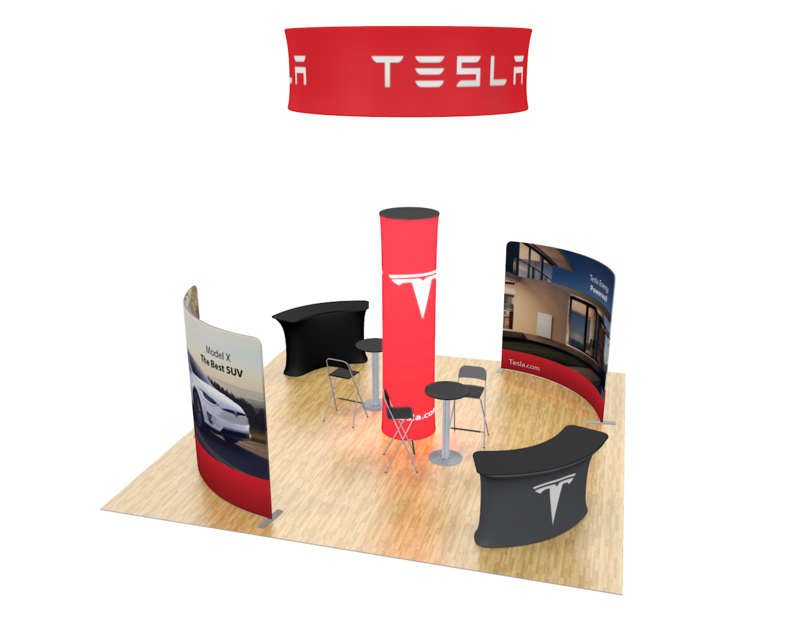 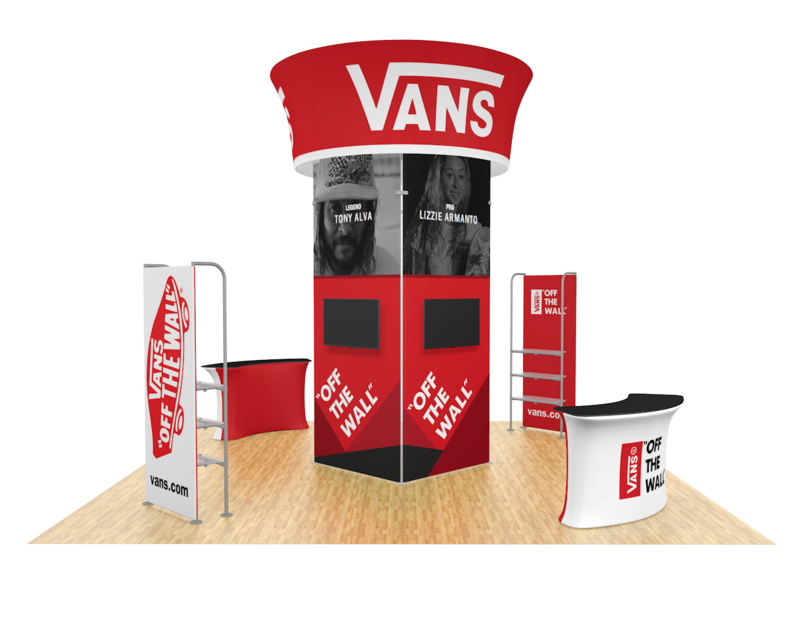 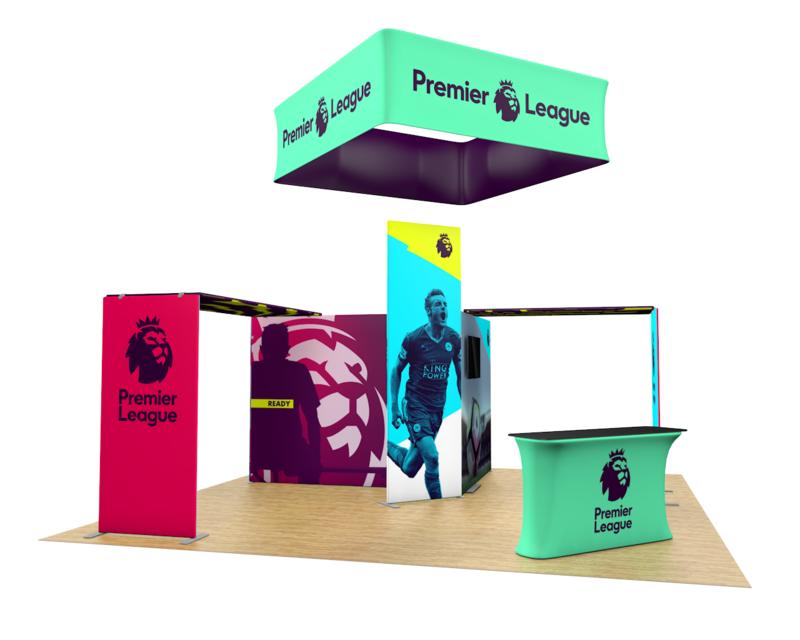 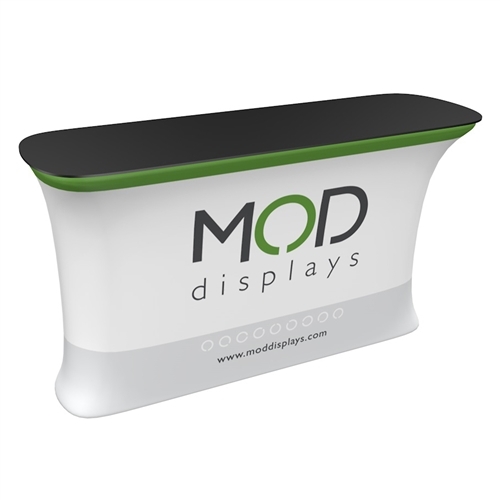 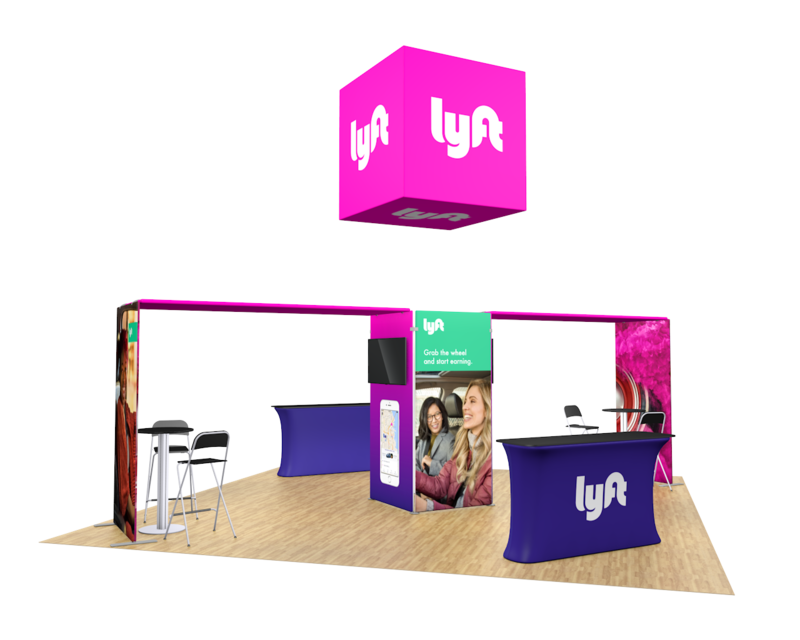 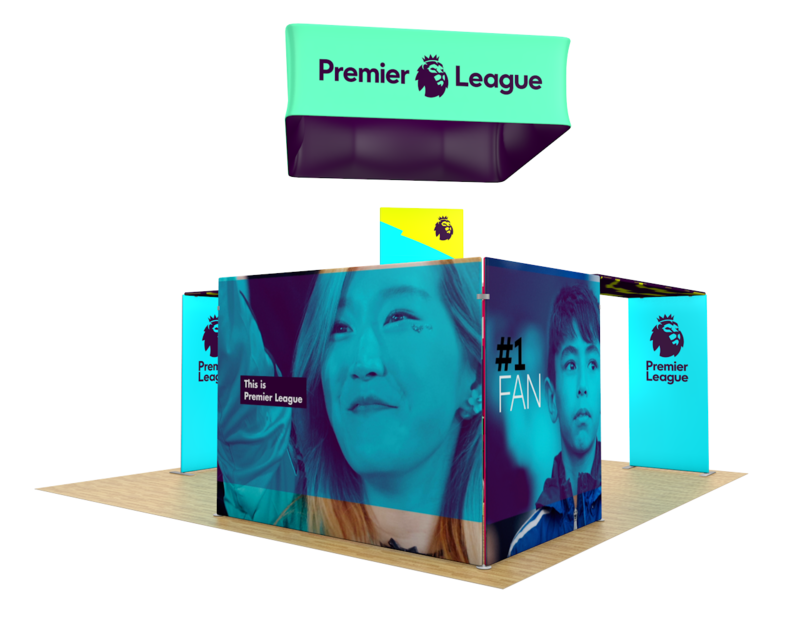 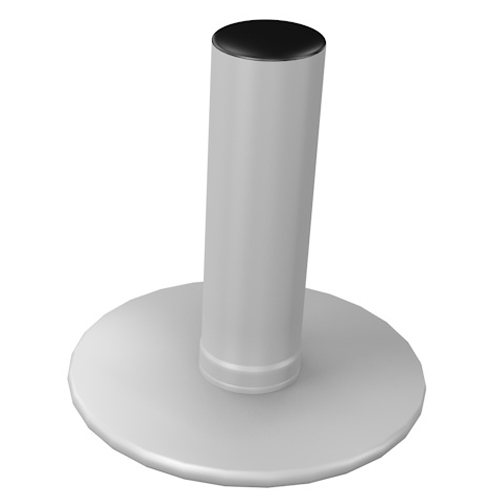 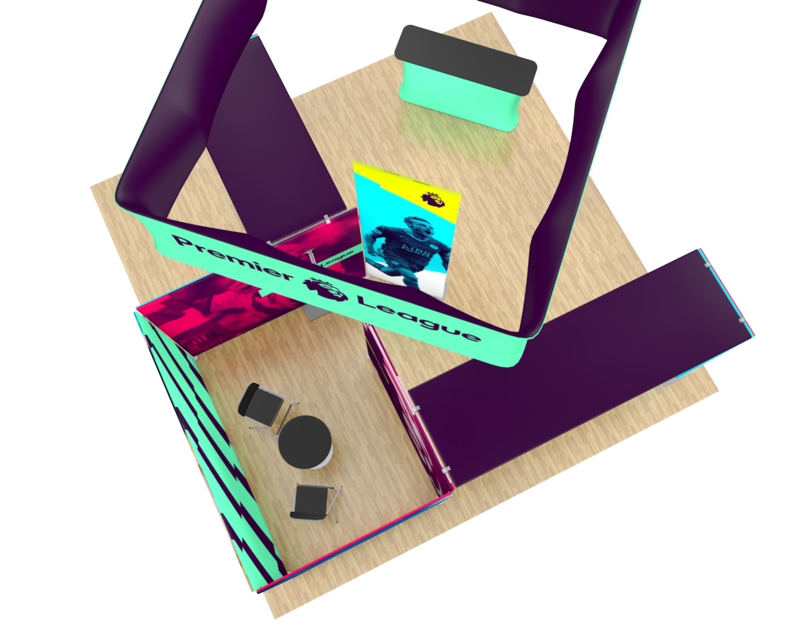 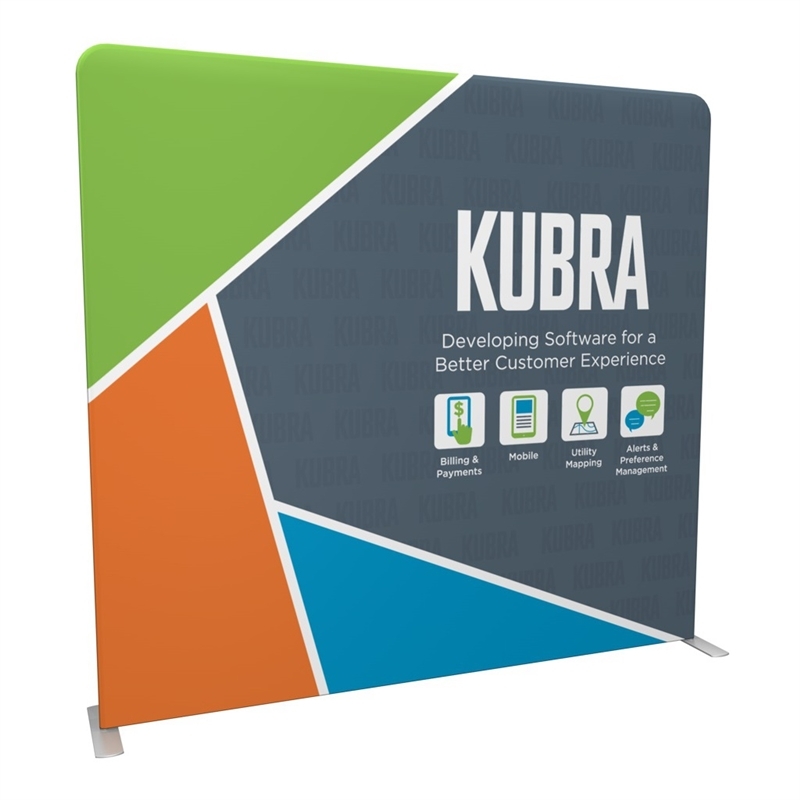 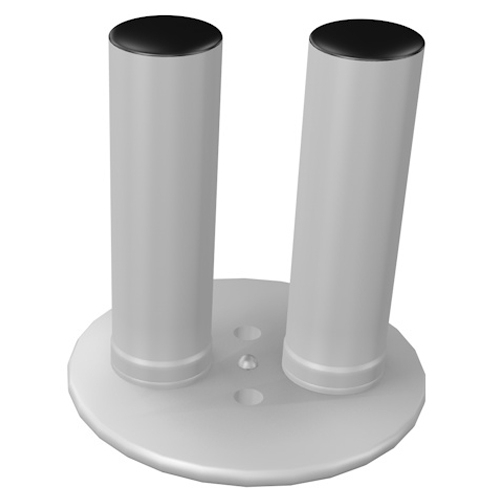 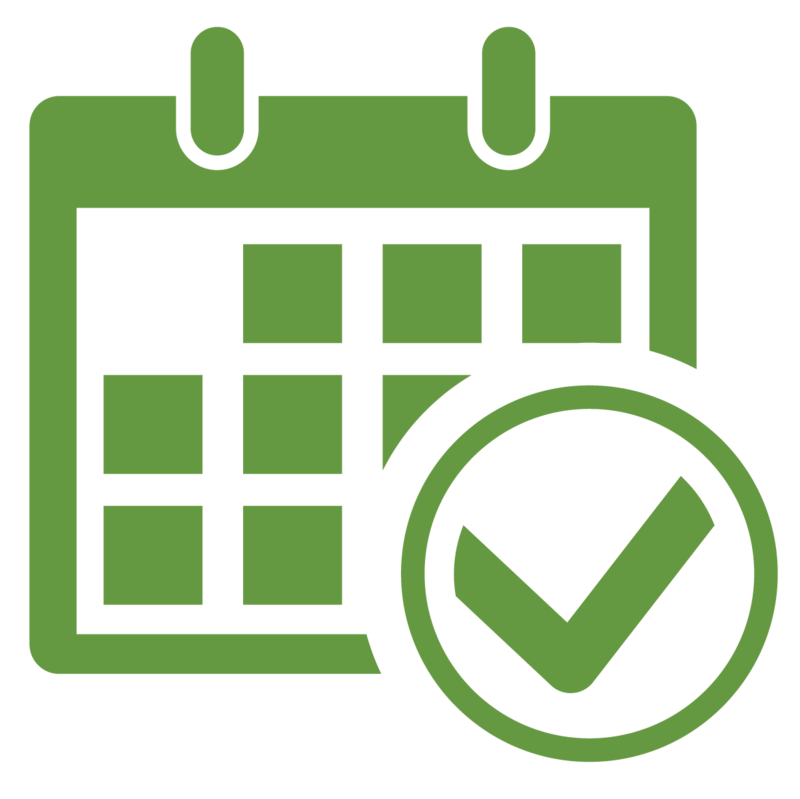 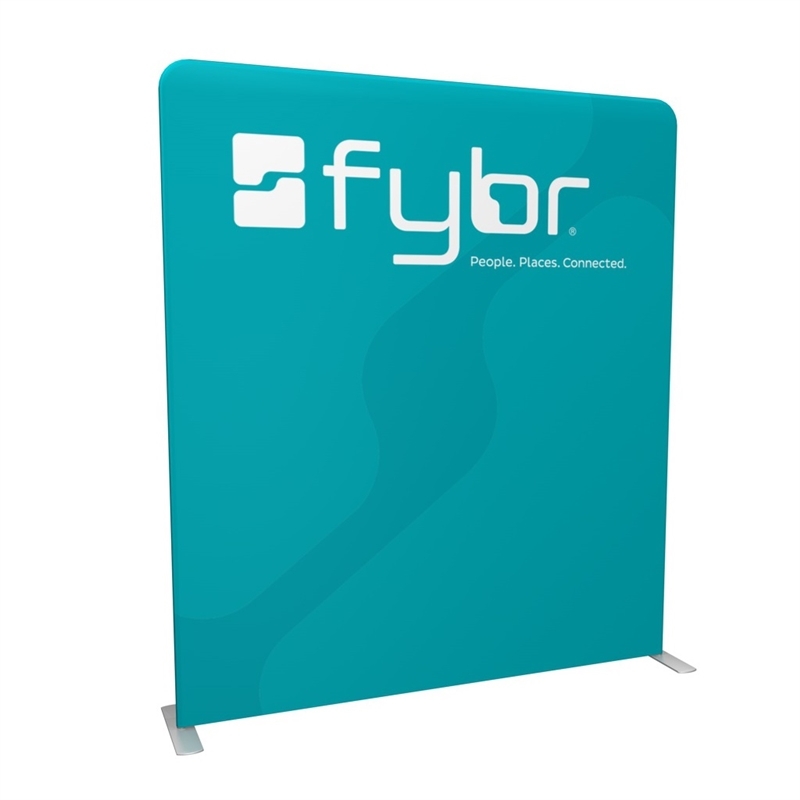 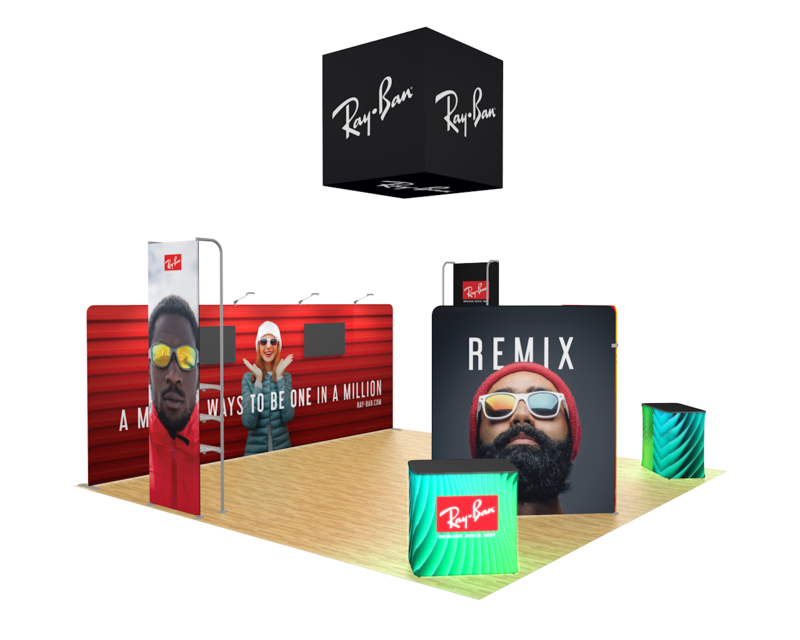 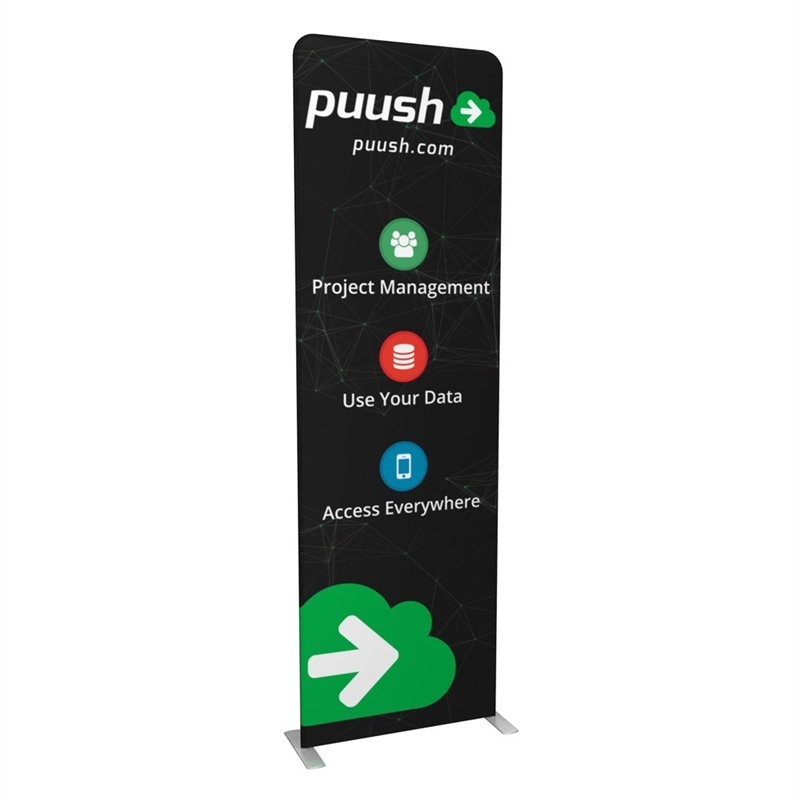 Contact us with your ideas to further customize this trade show exhibit. 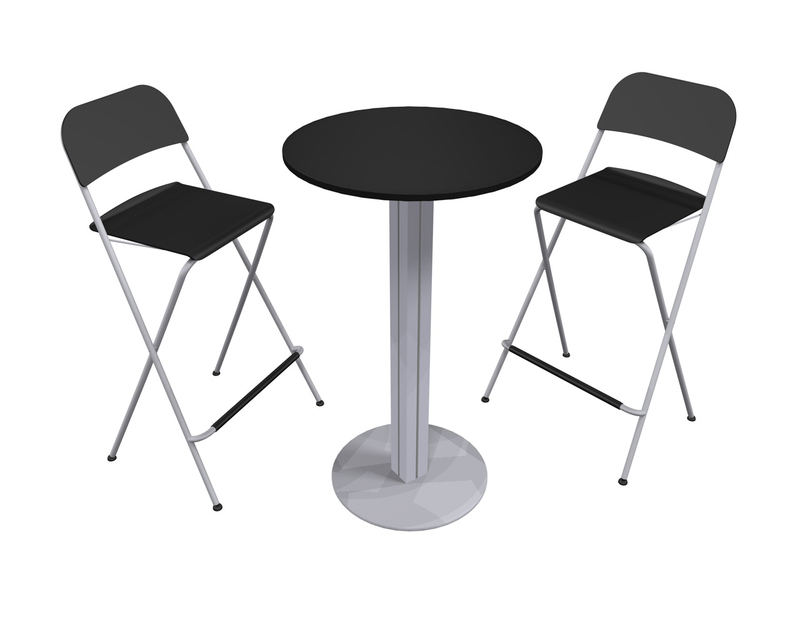 Multiple Waveline panels come together to form a meeting room, complete with a set of tables and chairs. 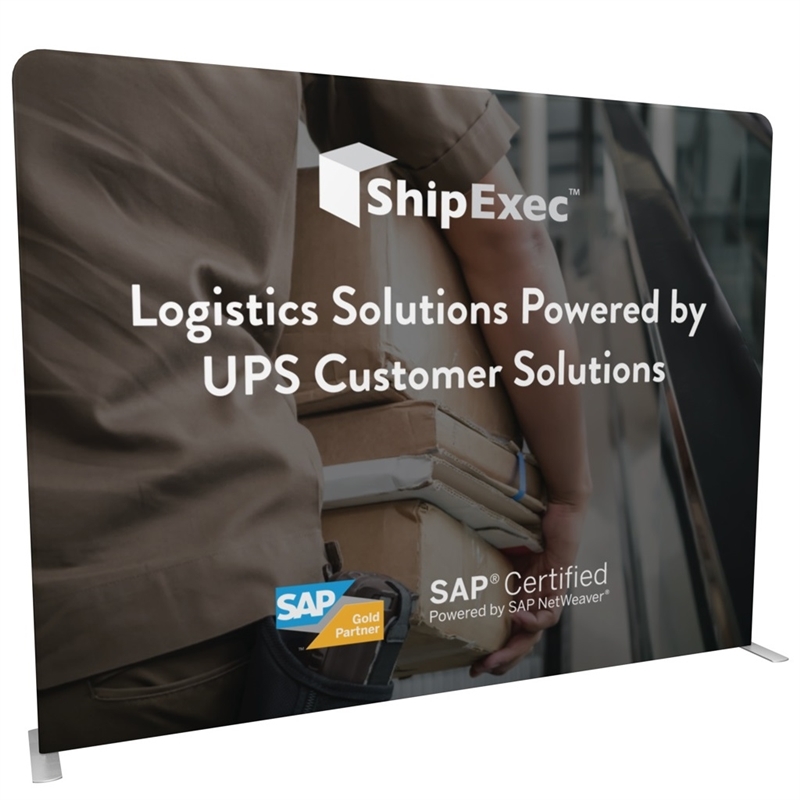 Two double-sided canopies sets of Waveline panels create depth and interest to the edge of the booth space. 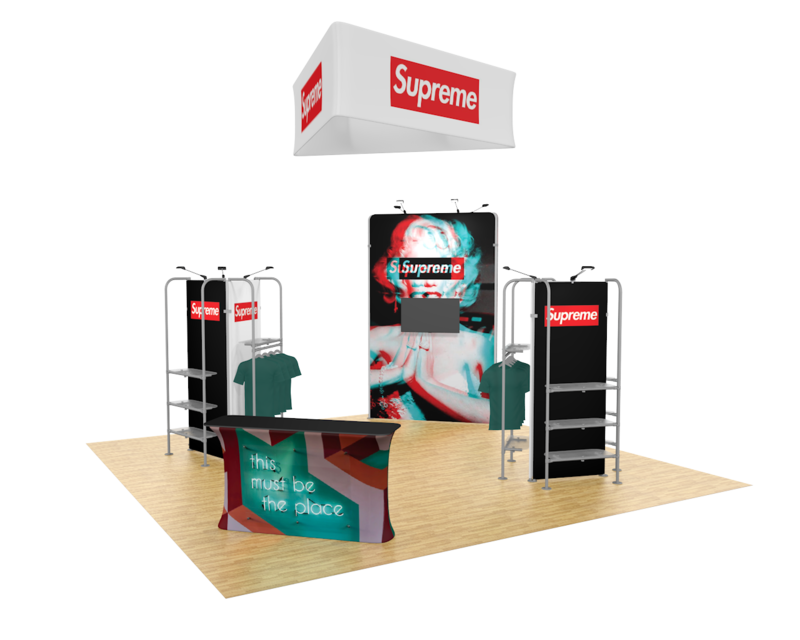 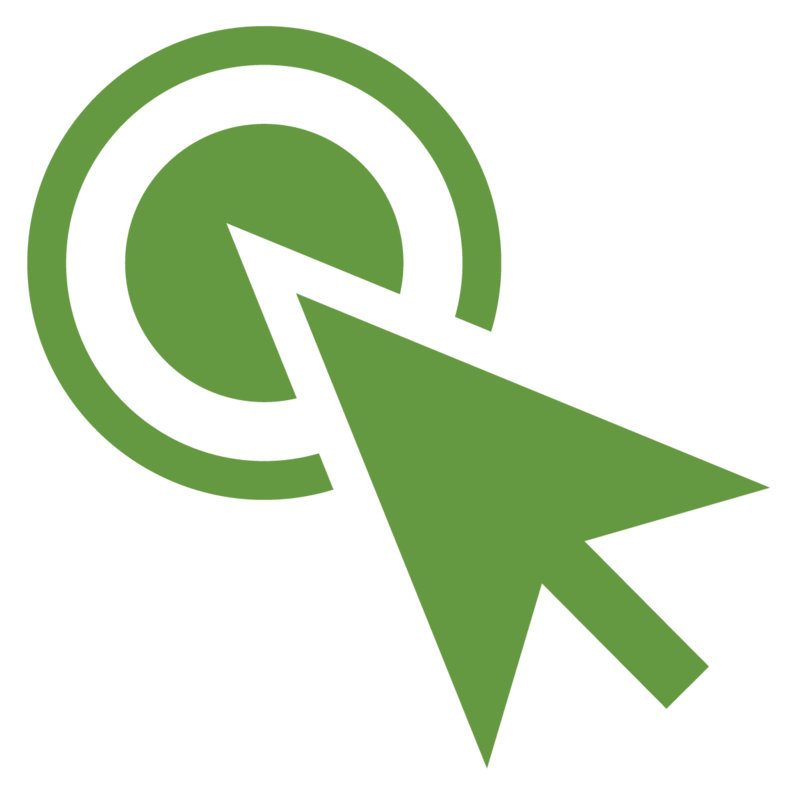 The wide panels in the corner provide bold visuals. 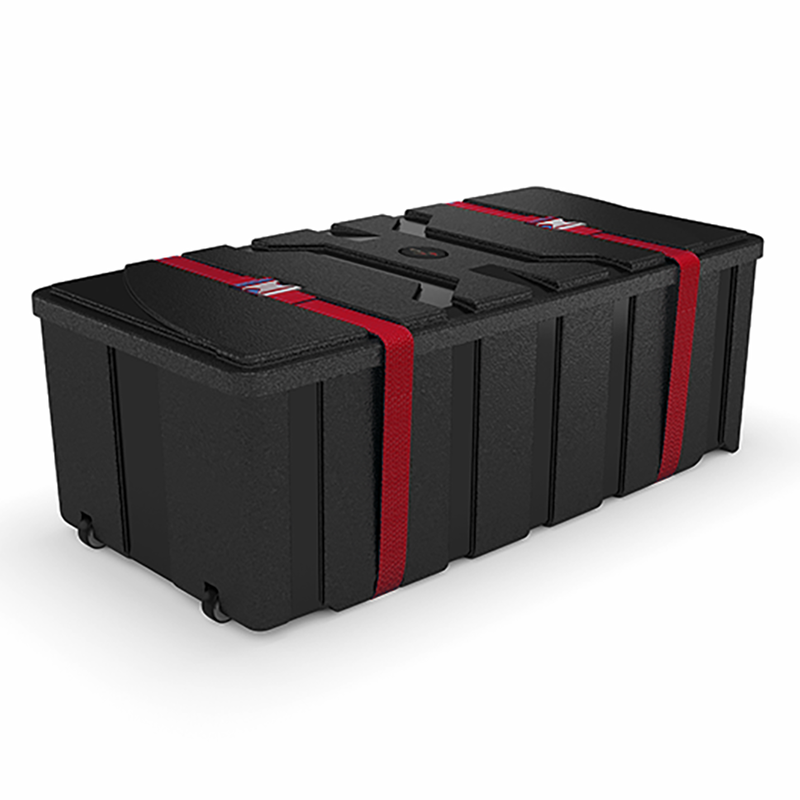 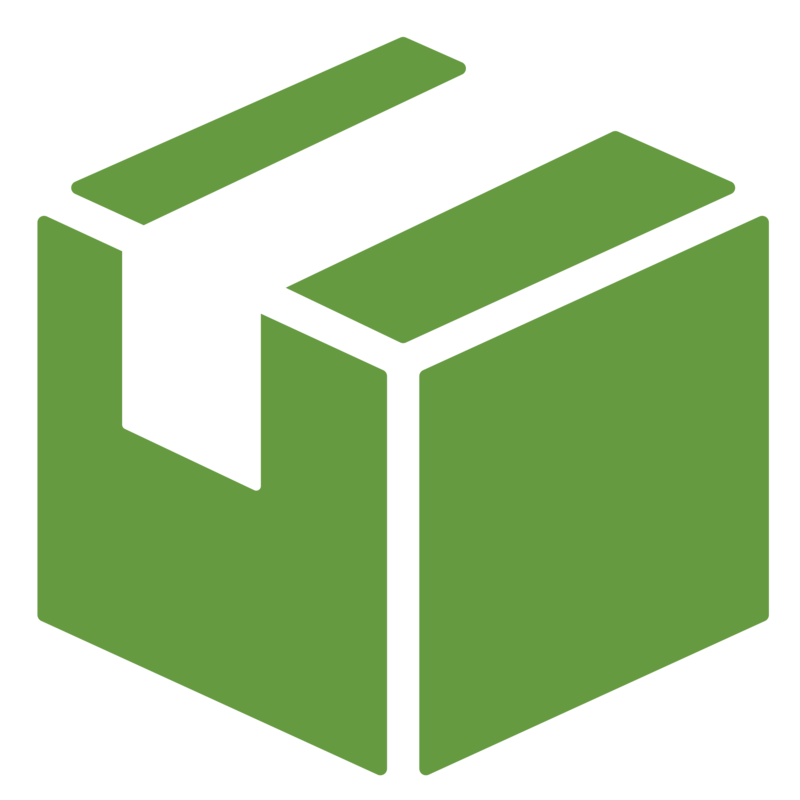 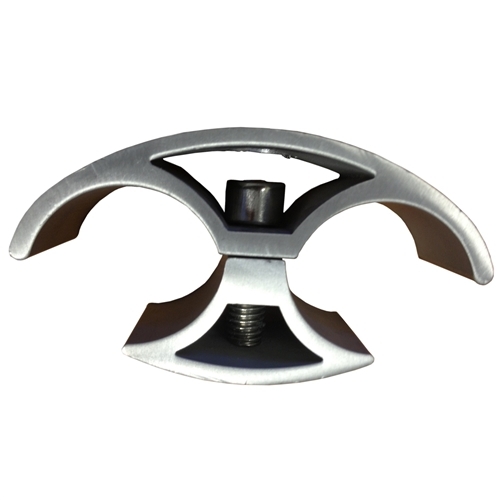 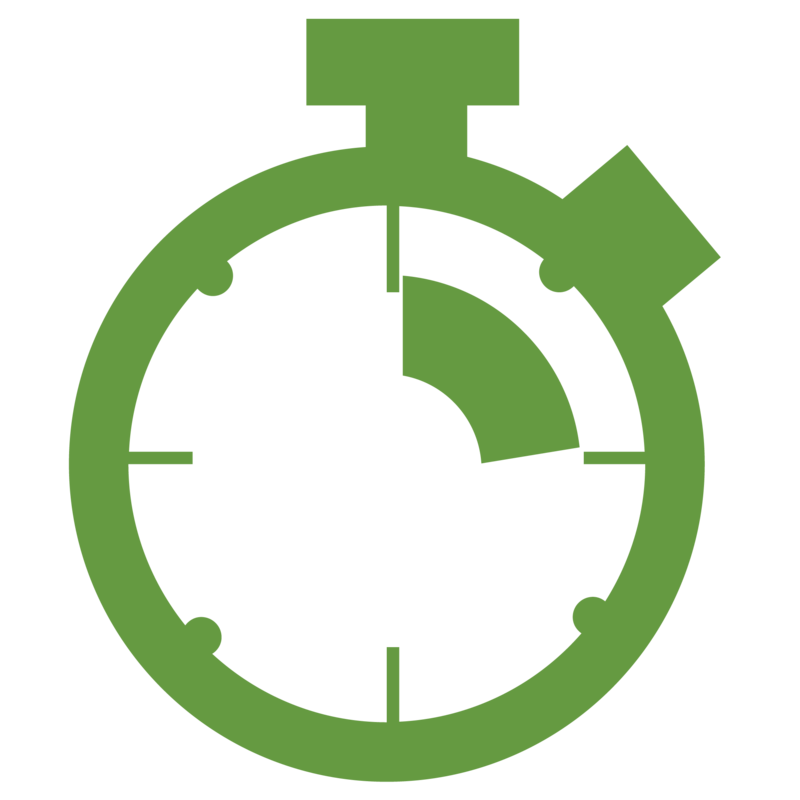 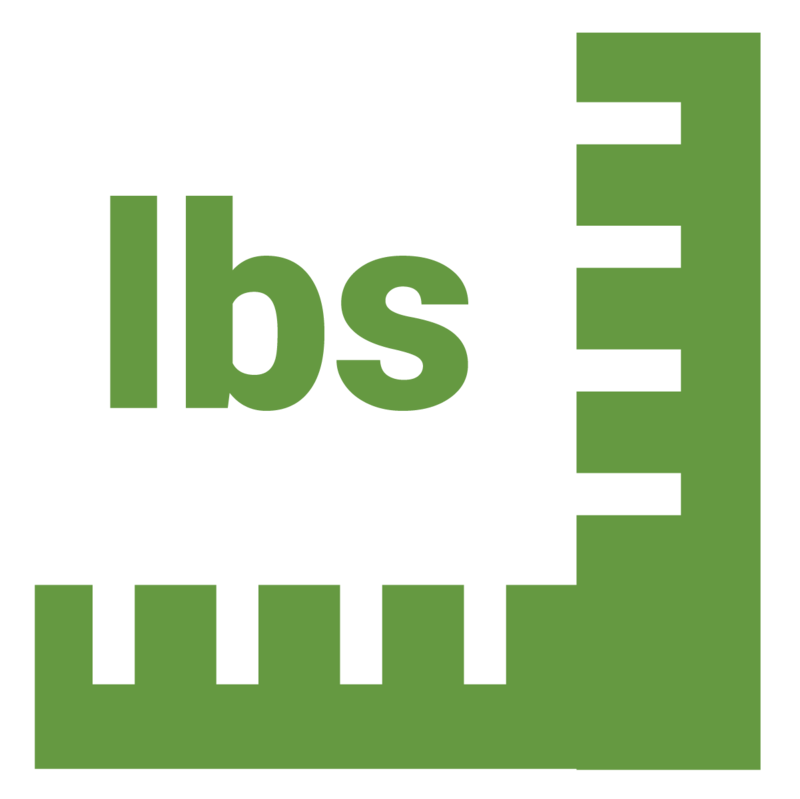 All the components ship in durable, easy to ship and transport cases that can be shipped via UPS, FedEx or LTL. 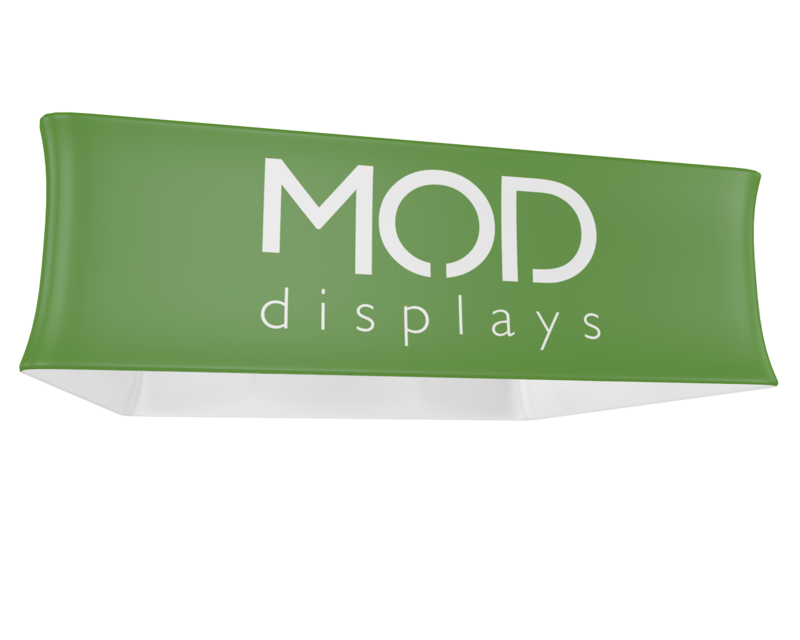 • 2 - WLM Panel N 79" x 89"
• 1- WLM Panel F 116" x 89"
• 1- angled privacy WLM Panel H 41" x 129"
• 3 - WLM Panel D 40.6" x 89"
• 1 - WLM Panel H 41" x 129"